Kern Economic Development Foundation’s newly elected chair, Bill Rector, is no stranger to leadership roles in Kern County and he brings a broad range of experience to his new position. 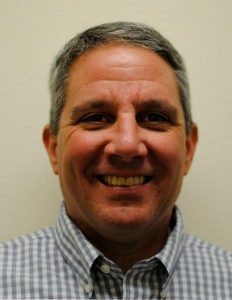 Currently the executive director at Western Energy Services Training and Educating Center (WESTEC), Bill previously served as chief of police for the Bakersfield Police Department for more than five years, beginning in 2004. Bill became the Executive Director at WESTEC in 2012. WESTEC provides short- and long-term vocational training programs in the areas of oilfield and agricultural safety, general industrial safety, corrections and law enforcement training, court report writing classes and programs that prepare people for general industry jobs. WESTEC also works with both Taft and Bakersfield College to run their classes through the WESTEC program. Bill says his current position seemed very fitting considering the previous work he has done throughout his career in the field of training and leading. Born and raised in Bakersfield, Bill attended Our Lady of Perpetual Help from pre-school to jr. high, then Garces Memorial High School. After graduating, he furthered his education at CSU Fresno majoring in Criminology. He then returned to Bakersfield in 1982 and joined the Bakersfield Police Department as an officer. Ironically, he was assigned to patrol his own childhood neighborhood. After returning to Bakersfield, Bill also earned his master’s degree in Counseling at CSU Bakersfield. As chief of the department that at times reached 500 people, Bill was responsible for ensuring that the integrity of Bakersfield and the BPD was intact. He assisted the department in earning the Helen Putnam Award for Excellence for their “A Life Interrupted” program that educates young people about driver and occupant responsibility. Bill also led the BPD in passing the US Department of Justice Investigation on the department when it conducted a civil rights investigation over the course of five years. During this time, Bill was named a CSUB & Garces Hall of Honor Recipient in recognition of his contributions to the community. After his retirement, Bill continued as an adjunct professor at Cal State Bakersfield until 2011 when he started his own consulting business, Rector and Associates.